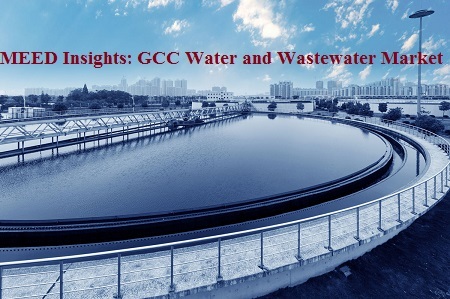 "GCC Water and Wastewater Market Outlook 2019", provides a comprehensive snapshot of the GCC’s water and wastewater market, the latest investment trends as well as project opportunities. There are few more pressing needs in the Middle East and North Africa than the need for reliable water supply. In a region characterised by a lack of rivers, lakes and rainfall, the rapid expansion of cities and the requirements of growing populations are driving a surge in demand for water supply and wastewater treatment capacity. In the GCC, demand for water is set to rise by about 62 per cent by 2025, according to new research by MEED. Demand growth on this scale necessitates significant capital investment in new capacity. Such investment is happening. About $80bn-worth of water and wastewater projects are currently planned or under way across the GCC alone. But in a fiscal environment where governments are working hard to minimise budget deficits and debt levels, it is no longer enough to simply increase capacity. A multi-pronged approach is required that will ensure sustainable development, both from a fiscal and an environmental point of view. The increasing trend of decoupling water production from electricity generation is an important step, as it allows for greater flexibility in supply and reduces capital costs. But the greatest opportunity to ensure adequate sustainable water supply is to change the way that water is consumed in the region. In the UAE, the adoption of filters on taps is reported to have resulted in a 20 per cent reduction in water consumption. And despite having once been treated with scepticism, the use of treated sewage effluent and recycled wastewater is now becoming accepted. Written by MEED, the Middle East market experts within the GlobalData Group, New technologies are opening up opportunities to live more sustainably. The challenge is their adoption. - One significant challenge is the slow adoption of new technologies. - The report includes proprietary data from MEED Projects. - It will also help you understand risks and set strategy in the regional water and wastewater projects market. - Ideal for business leaders, strategic planning functions, and marketing, business development, and sales leaders.